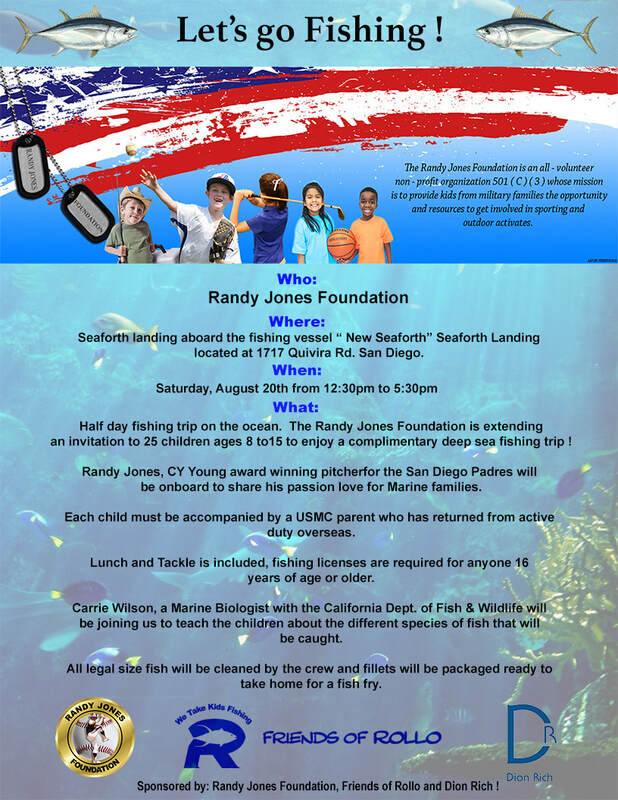 ​The Randy Jones Foundation has just recently started taking children ages 5-16 and their families on complimentary deep sea fishing trips! 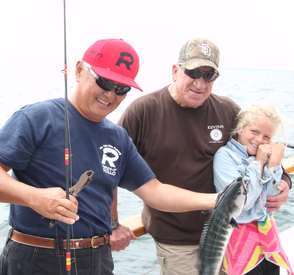 For the fishing trips, we ask guests to arrive at 11:30am. Lunch and tackle are included, but for those of you 16 and over, don't forget your fishing licenses! We have had Marine Biologists aboard with us in order to teach the children about the fish that could be caught during the trip. 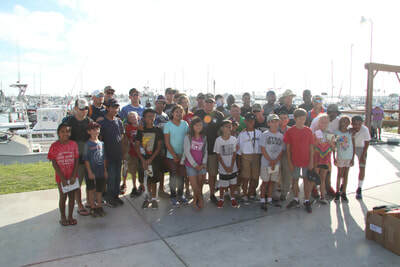 In addition to the boat crew and the Marine Biologists we take a few fisherman to help the children catch fish. 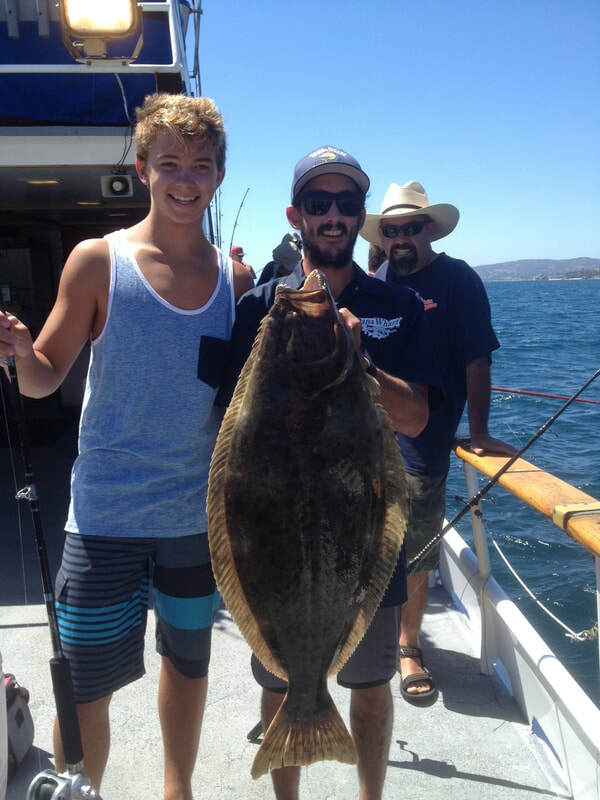 All legal sized fish caught on the trip will be fillet and package, ready to take home for a fish fry when we dock! 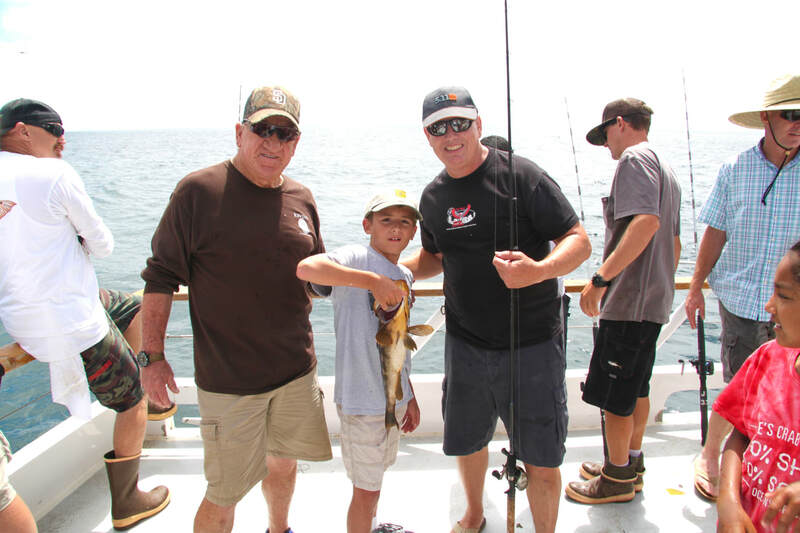 Check out Events Calendar frequently to see when the next fishing trip will be scheduled or to see what other fun events Randy has planned!